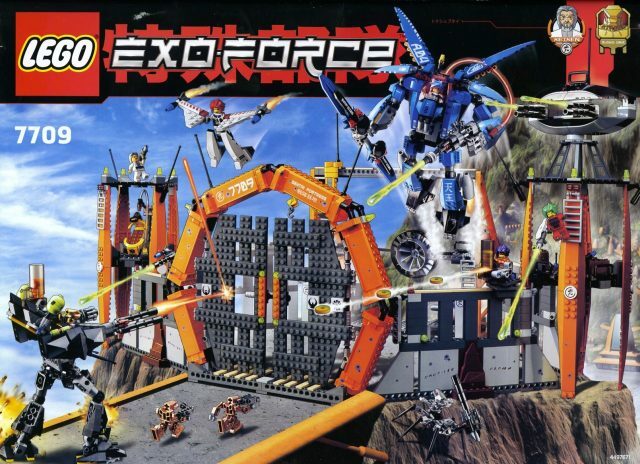 In 2006, LEGO released the Exo-Force theme, and 7709 Sentai Fortress was the largest set in the line. Marius Herrmann created a microscale version complete with the surrounding elements seen on the box art. 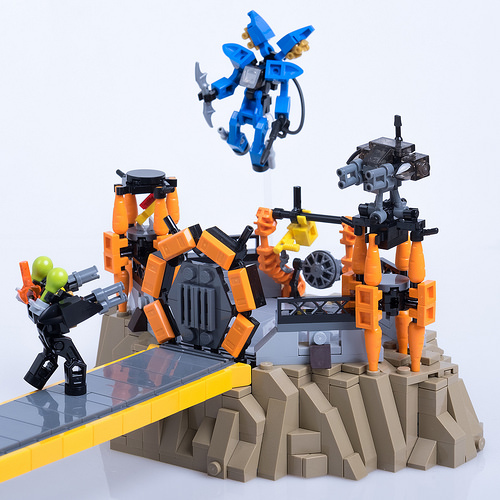 The iconic round orange gate and the microscale mechas makes the creation instantly recognizable to anyone familiar with the original set.